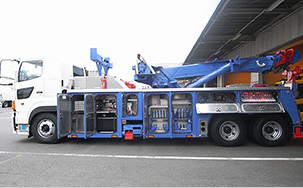 Description: The most popular in Japan, 40 Tonbumu pivoting tow truck, is a Japanese issue machine. Description: 2465 type 12 t wrecker Century, is a Japanese Unit 1. 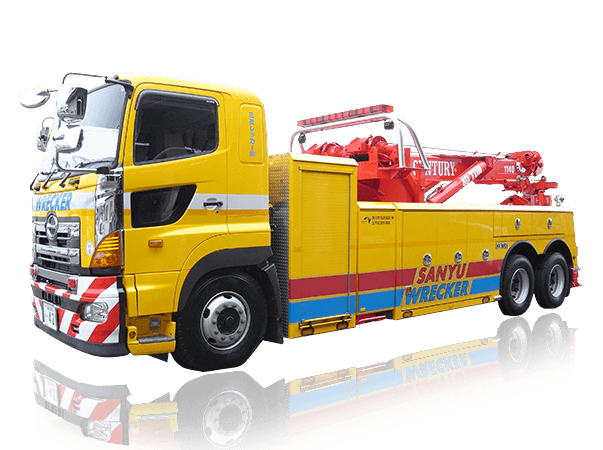 It is a tow truck equipped with all the equipment for the tow truck towing a small medium-duty trucks, including the hydraulic air compressor. 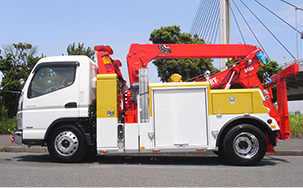 I was equipped to four tons of cars Hino Dutro, Century 212M type 8 tons Towing Equipment: Description. 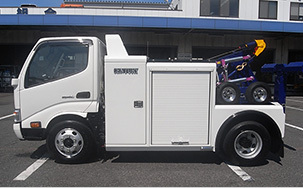 It is equipped with a hydraulic air compressor for this tow truck, and tow truck towing mainly to small trucks from passenger cars. Description: This is the transportation vehicle manufactured by BONIFACE PRODUCTS. It is suitable for the transportation from a passenger automobile to a small truck.